Mobile communications company Fongo Inc. is making a bid to buy Wind Mobile's Canadian operations, saying it wants to lower the cost of wireless data plans. A large number of Wind Mobile's customers already use Fongo's free mobile app for calls and messaging, Fongo president Dave Bullock said Wednesday. "It will be disruptively priced, different from anything else on the market," Bullock said of the data plan pricing Fongo has in mind. But Fongo's bid for Wind Mobile was met with some skepticism. SeaBoard Group telecom analyst Amit Kaminer said it's difficult to know if Fongo actually has the ability to buy Wind Mobile. "I would say this is a tempest in a teapot," Kaminer said from Toronto. "There are probably going to be a few companies that are looking at Wind, but on this one we're going to apply a large discount," he said. The Waterloo, Ont., company said its initial offer for Wind is $1 plus a 49 per cent equity ownership stake in Fongo. However, Wind also has millions of dollars in debt, which would have be assumed by any buyer. Wind Mobile met the bid with sarcasm. Wind's chief regulatory officer Simon Lockie said on Twitter: "I hereby publicly offer to buy Fongo for $1 and half my sandwich." 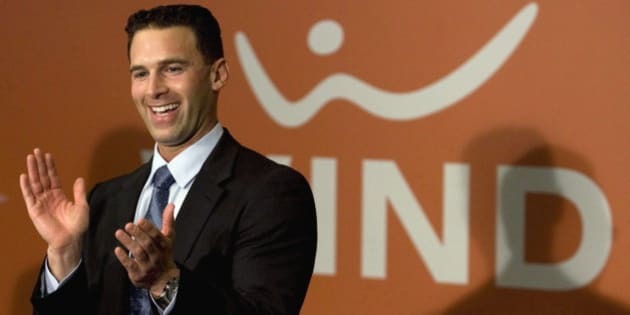 Wind Mobile founder Anthony Lacavera has also made a bid to buy back the small wireless carrier he launched in 2009 with original financial backer Naguib Sawiris, an Egyptian telecom player, a source familiar with the process has said. Fongo said that more than 250,000 Canadians have signed up for the free service with their iPhones, iPod touch devices and Android smartphones. Telecom analyst Troy Crandall said while Wind's debt would have to be assumed, if Fongo were successful it could disrupt pricing and how data plans are sold. "Essentially they could offer a data-only pricing schedule," said Crandall of MacDougall, MacDougall & MacTier. "They could say forget voice, we've got you covered on voice which is free anyway. Pick your data model that you want," he said. Voice and data plans are generally sold together for smarpthones. "It takes away any need for you to get a voice plan for any of the big three anymore," said Crandall, who noted that he believed Fongo's bid was serious. "It's a pretty legit company and it's really kind of already making waves in the industry even though it's flying under a lot of radars right now." But he said he considers the $1 bid and a 49 per cent equity ownership stake in Fongo to be only part of the offer for Wind. Bullock said Fongo generates revenue through advertising inside its free calling service and from other services such as visual voice mail, international calling and texting. Fongo, a 25-employee company, was spun out of telecom company Fibernetics, based in Cambridge, Ont., in 2010. It's backed by venture capital and funding from a federal government program. Bullock said if its bid successful, Fongo plans to retain the majority of Wind Mobile's employees but will rethink many aspects of the business. Dutch telecom owner VimpelCom has recently put Wind Mobile up for sale. Wind was part of a wave of new wireless companies offering Canadians more cellphone competition.